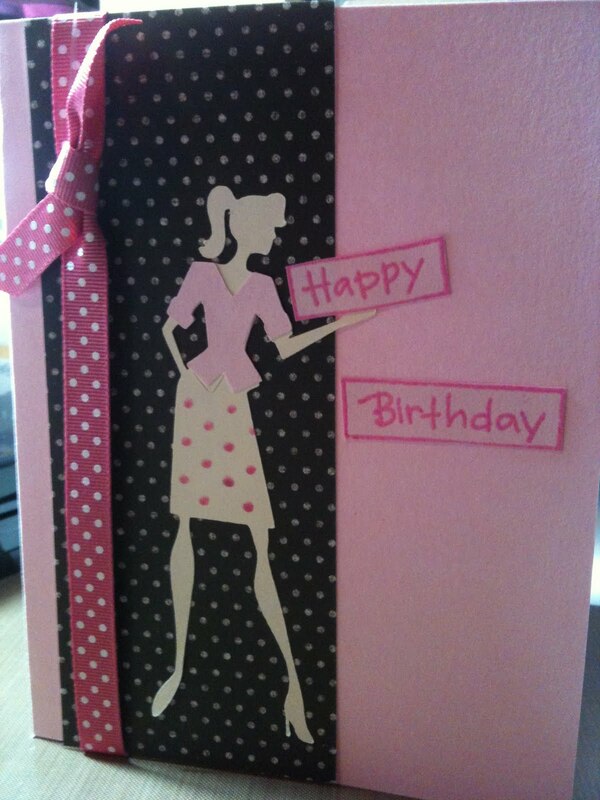 This card was created using "Forever Young" Cricut cartridge. The ribbon, cardstock, and paper were from various brands. The wording was from a clear stamp. 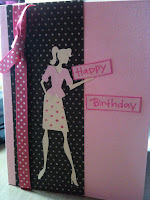 The words were embossed with pink embossing.